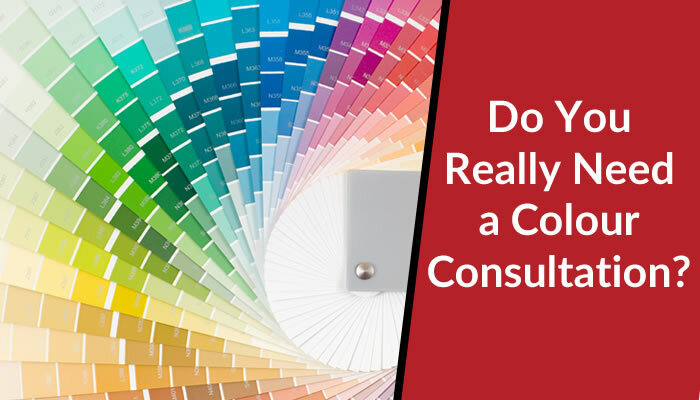 Do You Really Need a Colour Consultation? | A Stroke of Genius W.Van. You want whatever you decide on to be stylish, functional, inviting and long-lasting. If you make a mistake, you could end up facing an expensive redo or avoiding a room you don’t like. That’s where a colour consultation comes in. Whether you’re painting one area or renovating every room, it’s the best way to move forward confidently with your design choices. 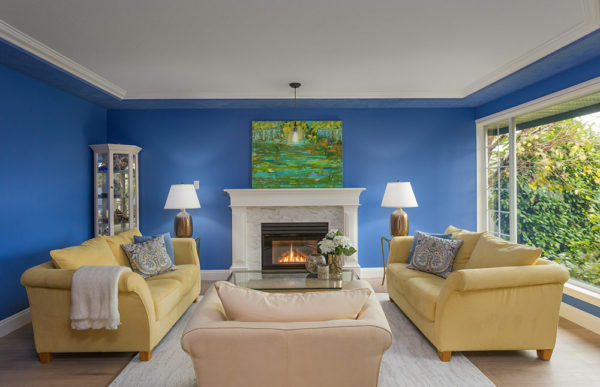 Of course, it can be fun to browse Pinterest or flip through home décor magazines, but when you hire an interior designer you get his or her expertise and experience on how colour can make or break a space. 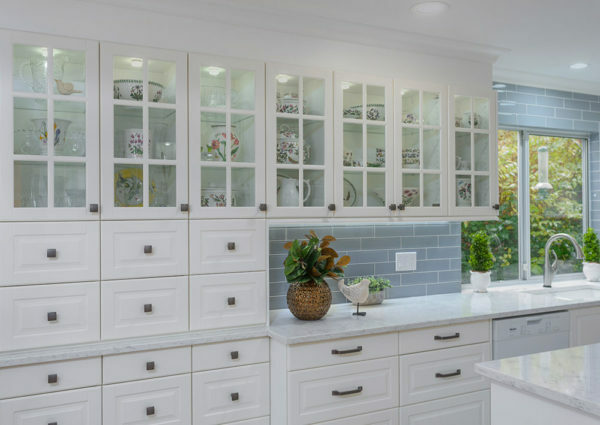 The designer has the understanding and skill to work with your home’s aesthetic—from the tiles to the ceiling and trim—and any existing furniture, draperies and so on. Bringing in a professional can also help you narrow down ideas if you’ve chosen a few palettes and aren’t sure which one to go with. When choosing colours for the home people often forget to factor in lighting. That gorgeous burnt orange you picked for the kitchen may end up looking more like Creamsicle when the morning sun shines through the window. Hire an interior designer and you’ll be clear on which colours work where and make your rooms harmoniously flow. You’ll understand how to brighten a darker location or make a smaller space look bigger. If you’re also bringing in new light fixtures or lamps, even better. Your designer can assist you with picking the most illuminating options to complement the paint or furnishings you like. A good designer is knowledgeable about the psychology of each colour and how to balance the colour wheel to get the most beautiful results. 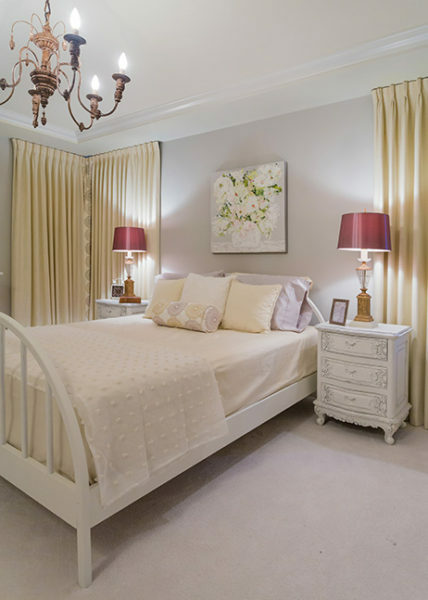 If you’re redoing your bedroom, for example, you might want to incorporate softer shades and tones that will warm up under the glow of a nightstand lamp. If you want a sunny living room, your designer can show you what colours will perfectly complement that lemon yellow or pale lilac you love. Sure, it’s still a good idea to hire a designer for a colour consultation if you’re painting the walls. But in most cases, you’ll benefit from bigger-picture advice on how to seamlessly tie a room together with bedding, accessories, artwork, draperies and décor. It’s important to look at the room as a whole. The decisions you make will change the dynamic of the entire space—for better or for worse. Don’t let redesigning or updating the look of your home overwhelm you—it can be exciting! By enlisting the help of an expert, you eliminate guesswork and maximize the enjoyment you’ll get from your colourful new space. Whatever your needs are, A Stroke of Genius will work with you to achieve a stunning palette that reflects your style, personality and project. Let’s start with a consultation.